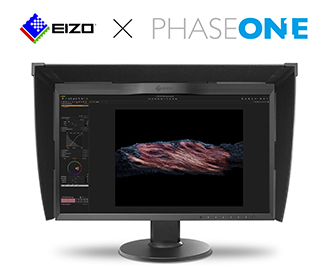 Hakusan, Japan, September 20, 2016 – EIZO Corporation (TSE: 6737) today announced that as part of a technical collaboration, Phase One has integrated the software development kit (SDK) for EIZO’s ColorEdge CG Series monitors into its Capture One Pro 9.3, the latest version of Phase One’s image processing software. Capture One 9.3 allows users to activate the calibration sensor built into ColorEdge CG Series monitors and carry out calibration with a single click. Now customers can benefit from Capture One Pro’s color profiles with color fidelity assurance of ColorEdge monitors. EIZO will be showing its line of ColorEdge color management monitors and software solutions, including Phase One’s Capture One, at Photokina 2016 in Cologne, Germany from September 20 – 25. Visit Hall 4.1, Booth J011, K014 to see the products. Phase One A/S is the world-leading provider of medium format digital photography systems and imaging solutions for professional photographers and industrial applications. Established in the early 1990s, Phase One is a true digital photography pioneer with a passionate commitment to image quality excellence and creative freedom. Phase One’s engineering and design expertise has produced imaging breakthroughs from high-resolution camera systems to advanced software for better photographer workflows and raw file editing. All product names are trademarks or registered trademarks of their respective companies. EIZO and ColorEdge are registered trademarks of EIZO Corporation. Phase One and Capture One are registered trademarks of Phase One A/S.